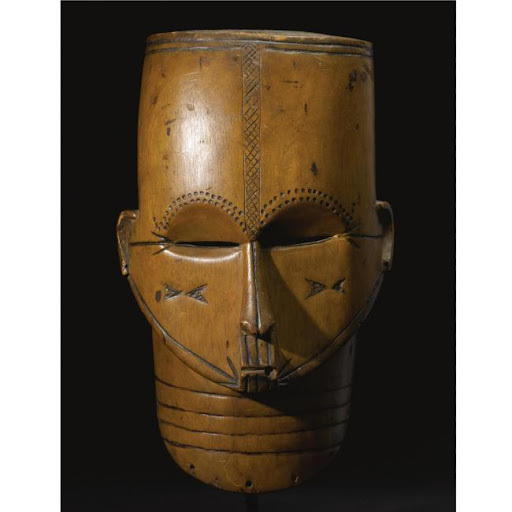 Based on geometrical proportions of his own face !and on tribal art, Julio Gonzalez made several works like this in the 1940's. Comparing his mask with authentic tribal masks we understand why Hans Hartung (a famous painter and close friend to Julio Gonzalez) has found the mathematical system of proportions that Gonzalez used to draw the mask series as " both elaborate and confusing". PURPOSE: despite of many studies, it is not known today how Fang tribe used this mask and the meaning of geometrical incissions. But it is certainly know that Georges Braque, an avid collector of tribal art, owned a quite similar one, in his famous collection. The cubism is made so easy when you are inspired by an unknown Fang artist! 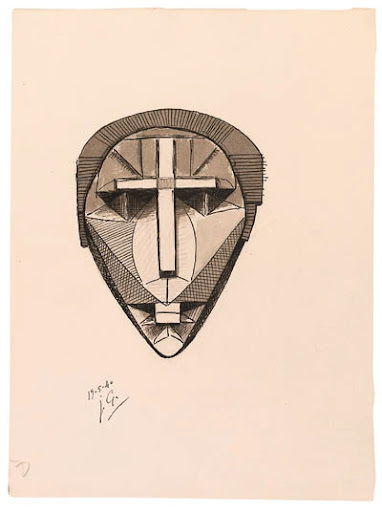 Before the financial crisis, mask like this one cost !only twice than minor drawings like Julio Gonzalez Masq, but today the Fang mask preserved it's market value while minor drawings dropped at least by 50%.